Serving Authentic Cantonese Cuisine since 1976, we continue to cater fresh, cooked to the order Chinese cuisine for the wonderful people of Perth Hills. Currently family operated by Head Chef Hai Feng Zeng and wife Leona Gu, The Ming Restaurant prides itself in bringing you quality dishes, with each ingredient and sauces lovingly prepared daily. 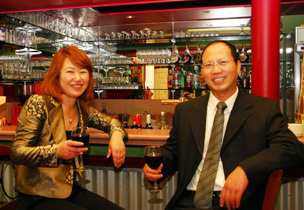 The Ming Restaurant is a family and kids friendly restaurant, fully licensed and has function room facility. Our friendly staffs are also experienced with catering for large special occasions such as birthdays, anniversaries and business functions. We are open for dine in every evening except Monday and open for lunch on Sundays. Relaxed and comfortable, we hope you enjoy your meal and dining experience at The Ming like many have in the past!